Thor was noticeably absent from the most recent Marvel movie, “Captain America: Civil War,” a no-holds-barred showdown between two teams of beloved humans. Had he been on Earth and not Asgard, however, one wonders if the God of Thunder would have sided with Iron Man or Captain America’s team. The director of the upcoming “Thor: Ragnarok” has an answer. If he had to pick a side, though? “Even though Thor is from outer space and he lives in a palace, part of me likes to think he would side with Cap. 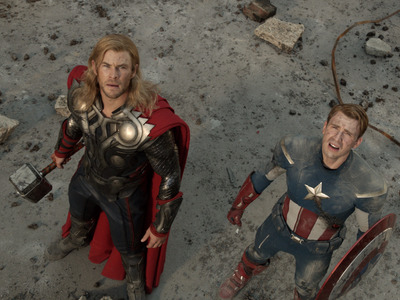 I would side with Cap purely because I don’t trust billionaires,” Waititi said. Fun fact: In the original comics version of “Civil War” that the movie was loosely based on, Thor was dead and replaced by a robot clone created by Iron Man and Mister Fantastic, and he killed a guy. Comics!